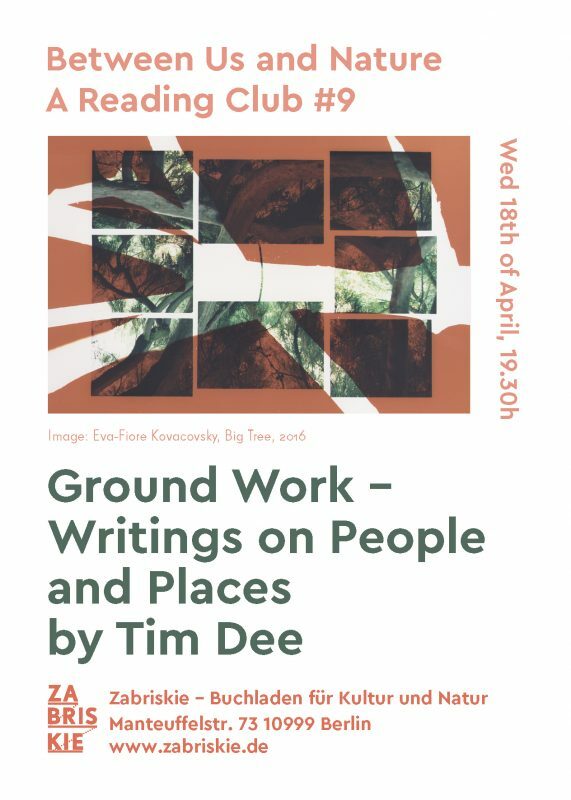 „Ground Work – Writings on People and Places“ is curated by Tim Dee “with an understanding that people and place are entangled at all levels”. 31 authors writing about the natural world today, such as Julia Blackburn or Helen MacDonald, explore “new and enduring cultural landscapes, in a celebration of local distinctiveness”. Please rsvp via email to betweenusnature@gmail.com to reserve your seat and receive the selected texts. At this reading group we will read passages together out loud and share our experiences and thoughts about nature we live in, and will discuss sustainability, post-natural conditions, and what it means to us.